Band 1 KSML lunch. Very nice. 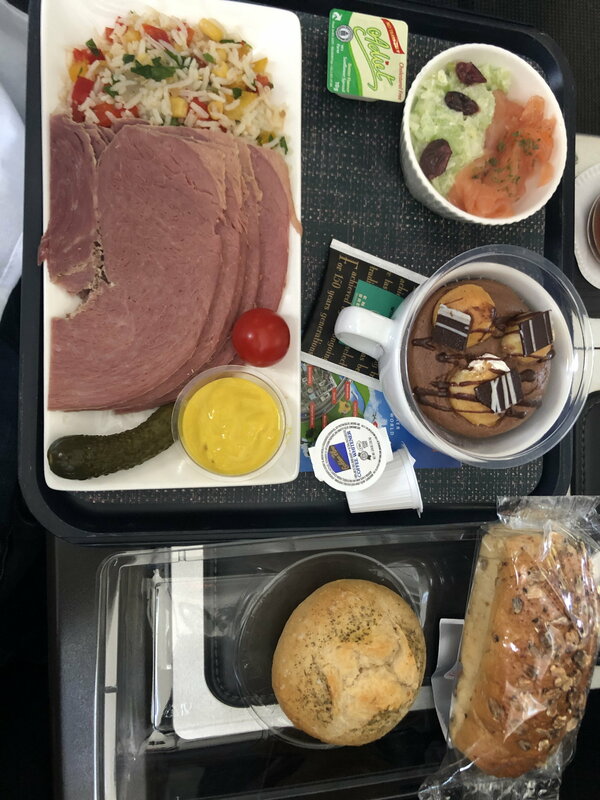 Smoked salmon and celery salad starter, salt beef main with deli mustard on bed of vegetable rice salad, chocolate (non dairy) mousse with baby choux. Larger and in my view tastier than the regular alternatives on the current rotation which I’ve had a few times. The white roll is from the regular basket, the packaged one came with the tray.